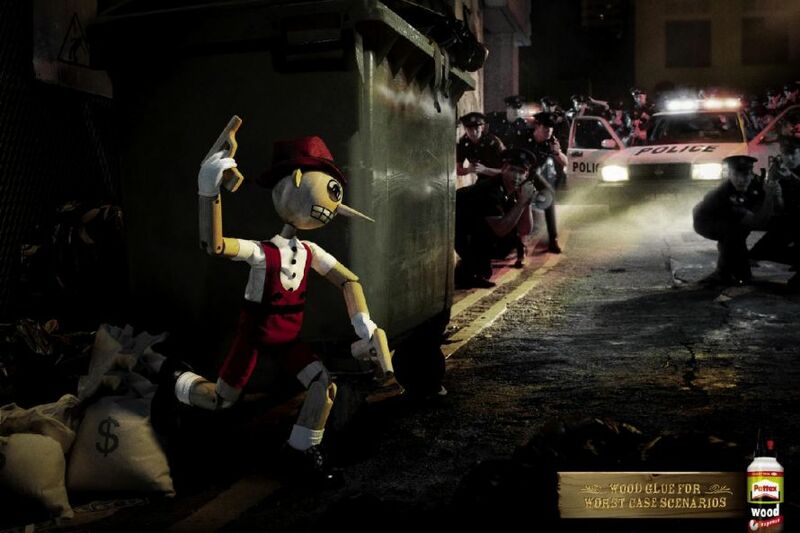 Henkel’s Pattex Wood Glue is promoted as the choice of Pinocchio the Villain in this series of print advertisements from Dubai. 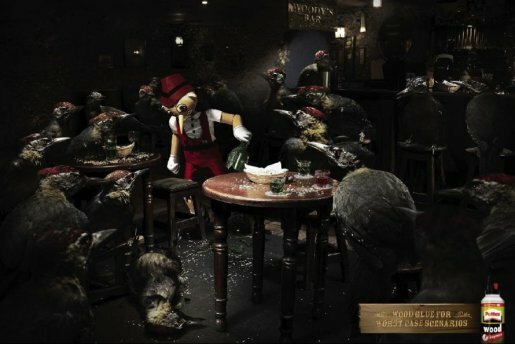 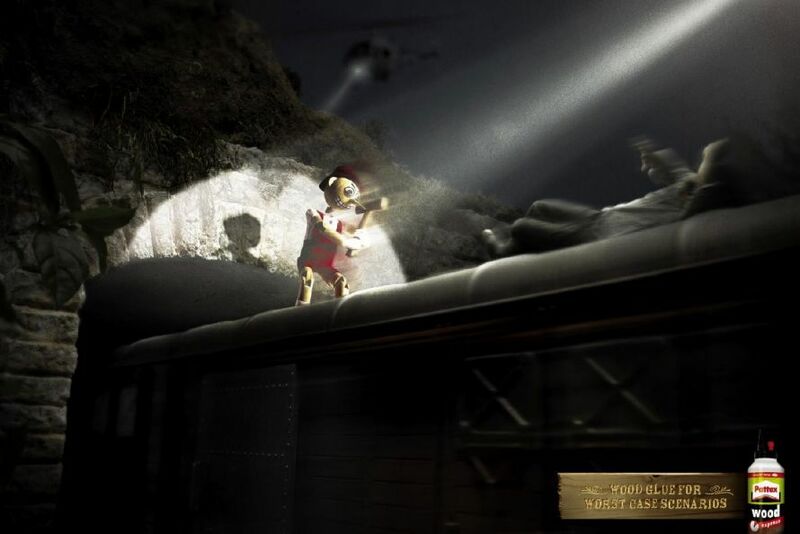 Using the tag line, “Wood Glue for Worst Case Scenarios”, we’re shown a daring risk-taking wooden puppet staging a heist, taking on police in a shoot out, and risking all in a bar brawl. The Pinocchio campaign was developed at TBWA\Raad Middle East, Dubai, by executive creative director Milos Ilic, copywriter Deger Cotelioglu, art director Danilo Villanueva, advertiser’s supervisor Ashraf El Afifi, with photography by Groovy Studio.